Jerry Buttimer’s reference to ‘keyboard warriors’ during the Dáil debate on the controversial statutory instrument reinforcing online copyright laws was criticised in some quarters. 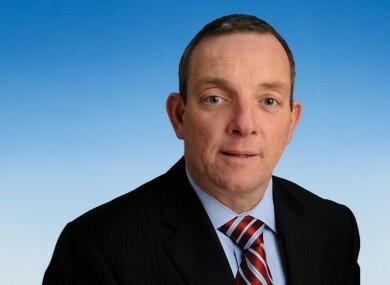 FINE GAEL TD Jerry Buttimer has defended his use of the term “keyboard warriors” during the course of a Dáil debate on the controversial statutory instrument intended to reinforce Ireland’s copyright legislation last night. Buttimer took part in a debate on the statutory instrument that Junior Minister Seán Sherlock intends to sign in the coming weeks to ensure Ireland is compliant with EU law. The move has been harshly criticised for its perceived potential to restrict internet freedom. Those against the measure have dubbed it ‘SOPA Ireland’, referring to controversial proposed US legislation. Cork South Central TD, Buttimer said during the debate last night that small copyright holders had to be protected while drawing a distinction between creative internet users and “keyboard warriors” whose conduct he said was sometimes “bordering on anarchism”. The remarks drew a strong reaction on Twitter where the hashtag #IAmAKeyboardWarrior was trending at one point. Speaking to TheJournal.ie today Buttimer sought to clarify his remarks. “That is not applicable to people involved in this,” he insisted. “It is important that we respect the rights of people who have a view on this and engage with them. I’m a democrat. I’m prepared to engage with people who engage with me. I had a website, I was on Bebo long before they became fashionable. I don’t want to see online rights curbed. Buttimer also said that there needed to be a “period of reflection” following last night’s debate in which Sherlock reaffirmed the government’s commitment to signing the statutory instrument without changing the wording of it. The Fine Gael deputy said that while he did not think this was an Irish version of SOPA – a controversial piece of American legislation which the US Congress has currently said it will postpone consideration of in response to online protests – he hoped for further consultation on the issue. Email “Fine Gael TD defends 'keyboard warrior' comments”. Feedback on “Fine Gael TD defends 'keyboard warrior' comments”.